Results of a new study by researchers at the Northeast Climate Science Center (NECSC) at the University of Massachusetts Amherst suggest that temperatures across the northeastern United States will increase much faster than the global average, so that the 2-degrees Celsius warming target adopted in the recent Paris Agreement on climate change will be reached about 20 years earlier for this part of the U.S. compared to the world as a whole. NECSC postdoctoral researcher Ambarish Karmalkar and geosciences professor Raymond Bradley's study explores how climate across the U.S. will be affected by the recent Paris agreement to limit global average temperatures to no more than 1.5 degrees C, or 2 degrees C above pre-industrial levels by 2100. Details appear in the current issue of PLOS ONE, released today. 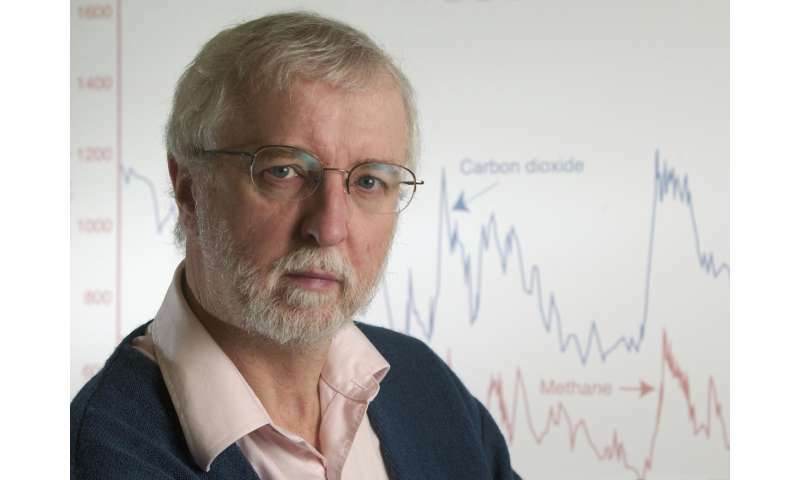 Bradley says, "With the signing of the Paris Agreement to try and limit greenhouse gas emissions, many people have been lulled into a false sense of security, thinking that the 2-degrees C target is somehow a 'safe' limit for climate change. But the 2 C number is a global average, and many regions will warm more, and warm more rapidly, than the earth as a whole. Our study shows that the northeast United States is one of those regions where warming will proceed very rapidly, so that if and when the global target is reached, we will already be experiencing much higher temperatures, with all of the related ecological, hydrological and agricultural consequences." The lower 48 states are projected to cross the 2-degree C warming threshold about 10 to 20 years earlier than the global mean annual temperature, they note. Bradley and Karmalkar write that "the fastest warming region in the contiguous U.S. is the Northeast, which is projected to warm by 3 degrees C when global warming reaches 2 degrees C." The southwest U.S. also is projected to warm at a "much faster rate" than the southeast or southern Great Plains. They also conclude that regional precipitation projections for warming of 1.5 degrees C and 2 degrees C remain uncertain, "but the eastern U.S. is projected to experience wetter winters and the Great Plains and Northwest are projected to experience drier summers in the future." Karmalkar adds, "Policymakers need information that is useful at the local, not global scale. Our study provides this information for several regions in the U.S. in the context of the global temperature targets set in Paris." Their analysis is based on climate model simulations that contributed to the fifth phase of the Coupled Model Intercomparison Project (CMIP5). Among other things, Karmalkar and Bradley address concensus and disagreements among models and discuss the impact of internal variability and model- and scenario-uncertainty on model projections of climate change. They point out that their threshold-based approach identifies timings associated with regional climatic changes and "clearly demonstrates how warming rates are projected to differ across the country." The authors add that "while there is no real scientific basis to why global warming of 2 degrees C should be considered 'safe,' it emerged as 'the least unattractive course of action' and has been used as an easily understood, politically useful marker to communicate the urgency of the climate change problem and to drive action on a global scale." Use of the lower 1.5 degree number was proposed by small island nations to call attention to the worst potential impacts of rising sea levels.